The only thing standing between CEO Matteo Combe and his company is Dr Sarina Fellows's character assessment. She's dealt with arrogant men like Matteo before and won't be intimidated. But untouched Sarina isn't prepared for the intense fire Matteo ignites in her! Succumbing to indescribable pleasure changes everything between them. 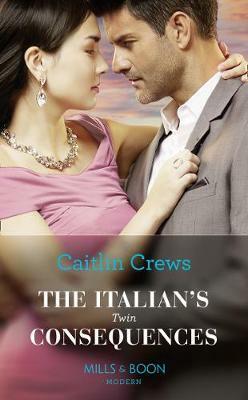 Especially when she discovers she's pregnant-with the powerful Italian's twins!